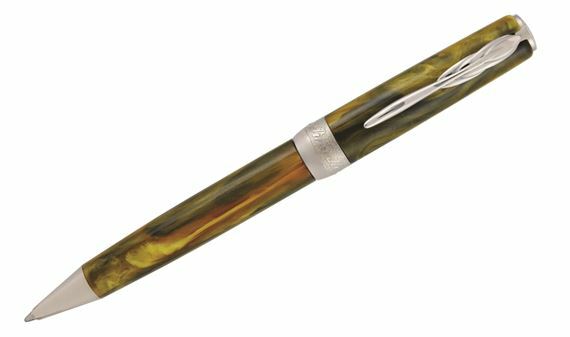 Order your Pineider La Grande Bellezza Gemstones Ballpoint Pen today from FahrneysPens.com. Fine Pens, Refills & Luxurious Gifts – great prices & fast shipping. From the heart of Florence, Italy, Pineider brings you the new La Grande Bellezza Gemstone series, the latest design by creative pen-making master Dante del Vecchio. Drawing from over 30 years of experience, Dante excels in balancing form, proportion and color to create exceptional designs like La Grande Bellezza, a practically perfect pen that is classic yet never excessive. Inspired by semi-precious stones and their unique and distinctive colors, the 2018 Gemstone collection is crafted in a new material that is resin-based and mixed with a high percentage of marble dust for incredible results. The marble/resin mix makes the material harder, which increases the shine and high-gloss polish of each color and provides a more consistent weight for effortless writing. The colors are so deep and vibrant, one might mistake them for the real stones in Malachite Green, Lapis Blue, Tiger Eye, Rhodolite Red or Onyx Black. The gorgeous La Grande Bellezza Gemstone fountain pen features Del Vecchio's latest nib design, the innovative Hyperflex. Combining Dante's artistic mastery with the latest in technology, the 14K gold nib is quill-cut for exceptional flexibility. 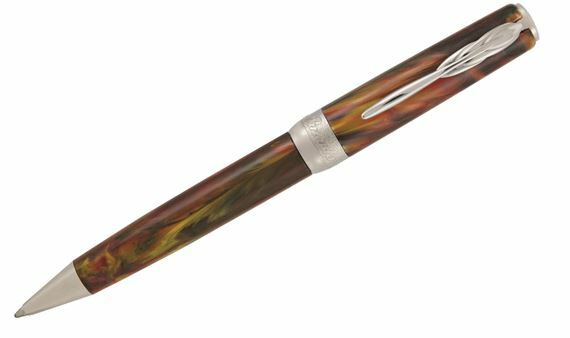 The Hyperflex nib glides across the paper exquisitely, eliminating the issue of skipping when using a fine nib. 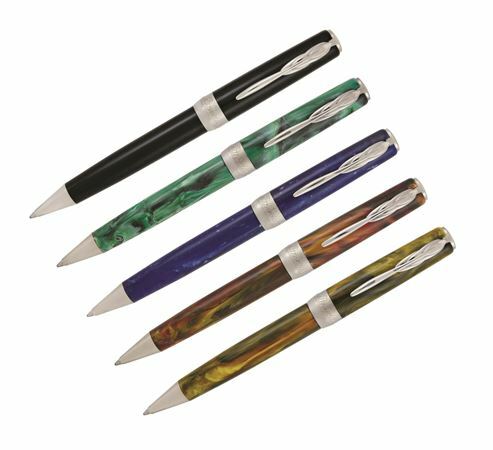 Another Dante innovation: the cap and barrel utilize a twist action with dual pole magnets; the snap-on cap ensures no ink will spill into your pocket or purse. La Grande Bellezza Gemstone is also offered as a capped rollerball or fountain pen.